The ability to easily get in and out of the Jeep is of high importance, especially when taking less than “Jeep-initiated” passengers along. I discovered Grabars on a west coast trip earlier this year and ended up purchasing them on the spot at our dealer, Northridge 4×4. 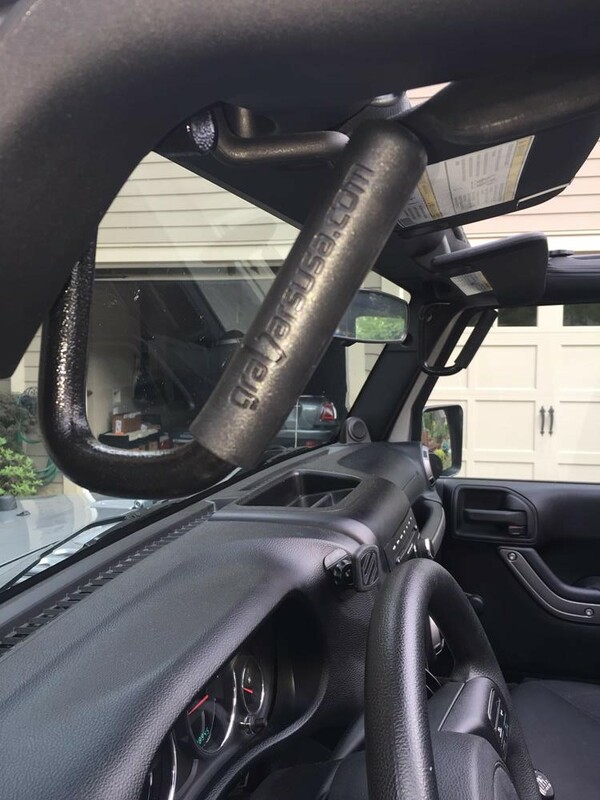 The Grabars are solid steel handles that make the exit and entry from the Jeep super easy. Each handle is made from (3) pieces that fit together and bolt into (2) of the OEM holes near the upper corners of the windshield. The handle area is covered with a rubber grip, molded with the grabarsusa.com logo. I cannot describe to you how sturdy these handles are once attached. You will feel your weight pull against the weight of the Jeep and the Jeep will not budge. That action gives you a ton of leverage as you pull yourself inside; totally different from the resistance offered by hook-&-loop-attach grab handles. The paint finish on the grabars is superior and looks great as well. 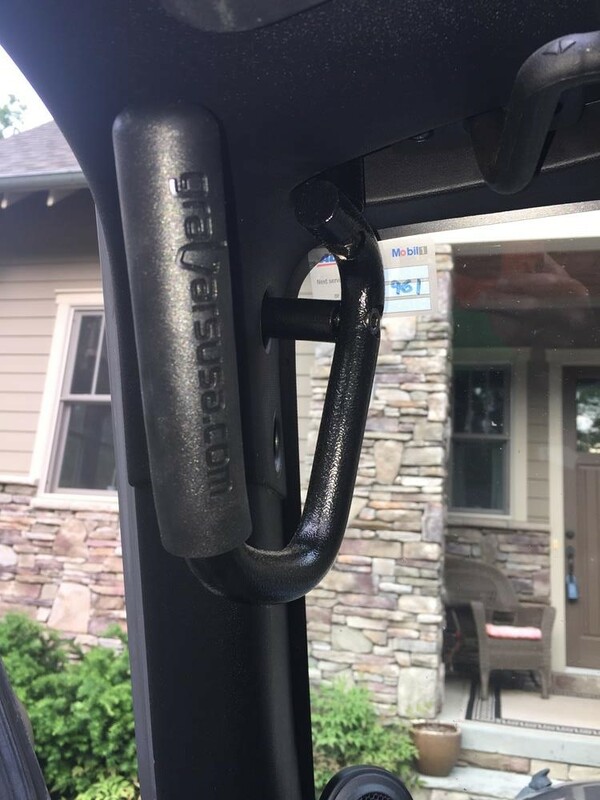 Literally every passenger that I have hauled around since I installed the Grabars has commented….cool product….these make it easy to get in……wow these are strong, etc. Grabars are truly one of my favorite products for the Wrangler.